The Cake Doctor | A cake for every ache! A cake for every ache! Who is the Cake Doctor? Silly season’s left me exhausted and full. I can feel the January blues approaching, but just can’t bring myself to plug in the juicer. Is there a new year nicety that’s sufficiently celebratory, but won’t squeeze me out of my work suits? Firstly, happy new year! Now, put down the left over Quality Streets and get out your spatula. It’s time to create something that’s homemade and nutritious, but also suitably cheerful and delicious to knock back those January blues. 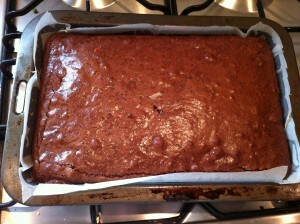 I’m prescribing you nutty chocolate brownies. 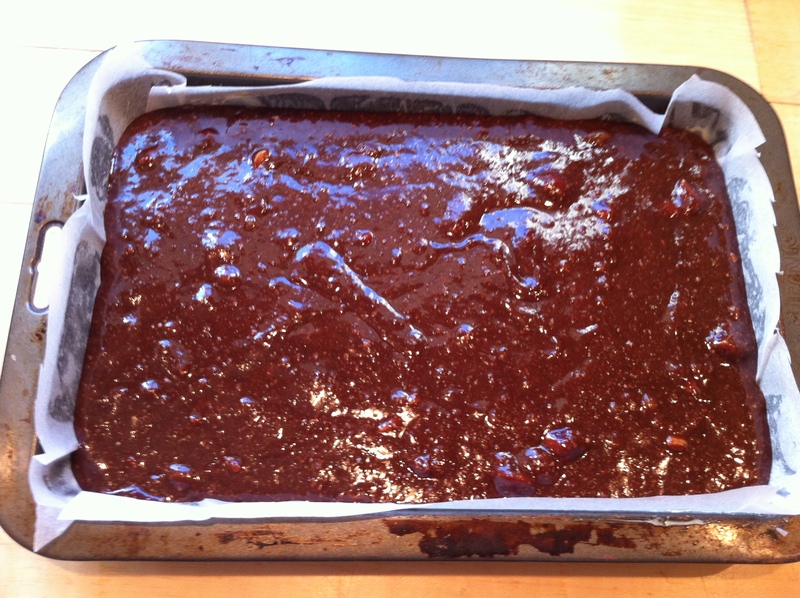 The ground almonds replace the flour you’d usually use in a brownie, so you’re eating gluten free, and good fats. A bit of time spent at home pulling this simple recipe together will offer a welcome distraction from the grey skies outside and the inevitable post-Christmas sadness, while any leftovers can be packaged up into small boxes or bags as belated gifts. These brownies are sticky and nutty, with shards of macadamia and a deep chocolate flavour. Crunchy and caramelised on the outside, soft and nutritious on the inside, they’re perfect as a fast and filling burst of energy before the gym, or just the rest of the day at work. 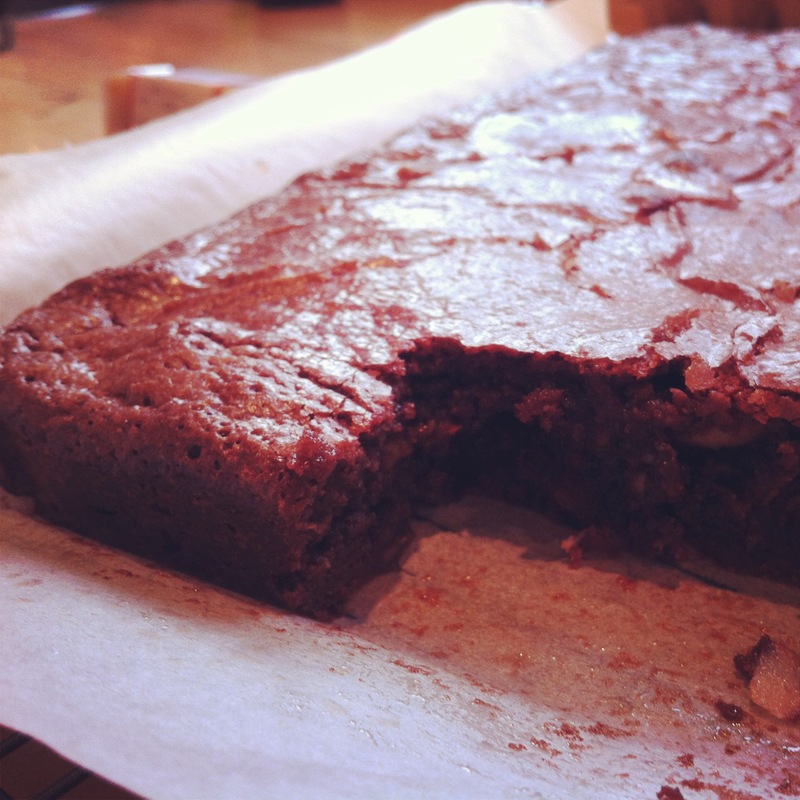 Nutty chocolate brownies will bring a smile to your dial that’s perfect for facing the rest of 2014. 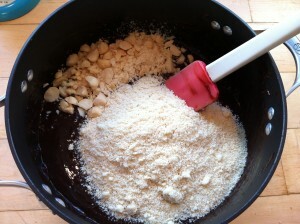 100g macadamia nuts, roughly chopped. Line a brownie tin or shallow, medium-sized baking tray with baking paper cut to size (lightly grease the tin first to get the paper to stay in place). 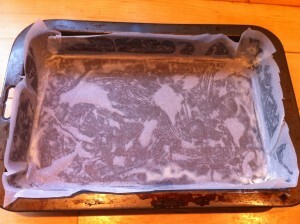 Preheat your oven to 170 degrees Celcius (or 190 if your oven’s not fan-forced). 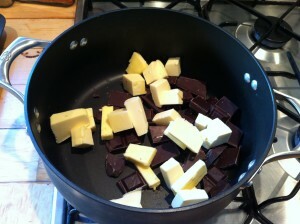 Break up the chocolate and place in a large bowl with the butter. 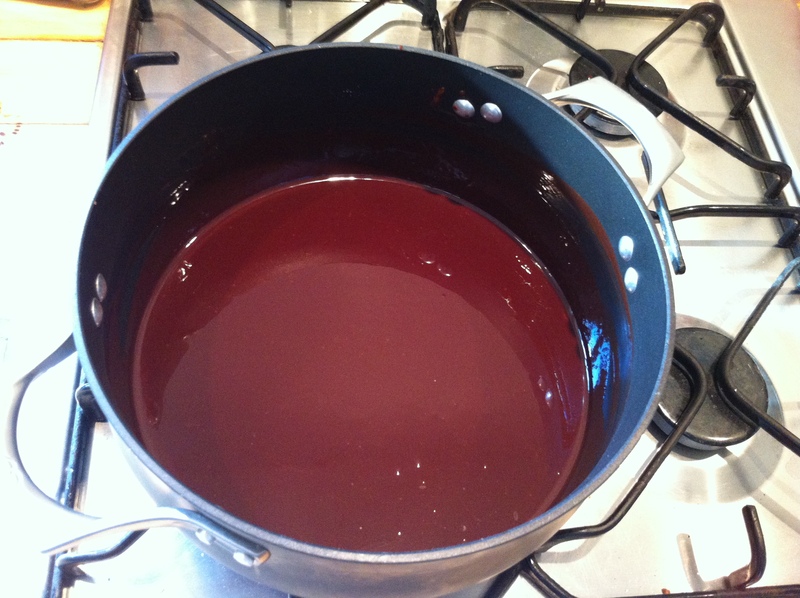 Either zap in the microwave for a minute at a time, stirring between blasts to ensure your chocolate and butter melt evenly, or place the bowl over a saucepan of simmering water (but make sure the water doesn’t touch the bottom of the bowl). 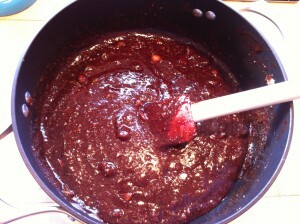 Add the sugar and vanilla essence, stir until smooth, then set aside to cool down a little. Beat the eggs with a whisk or fork. 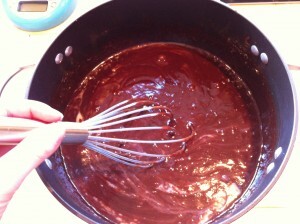 Mix the beaten eggs into the melted chocolate mixture. 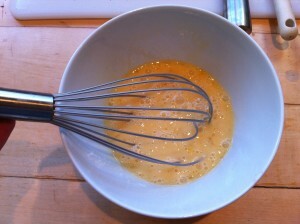 A handheld whisk might help here as the mixture will still be quite runny. Tip the ground almonds and chopped macadamias into the bowl and mix all ingredients together until the nuts are evenly distributed. 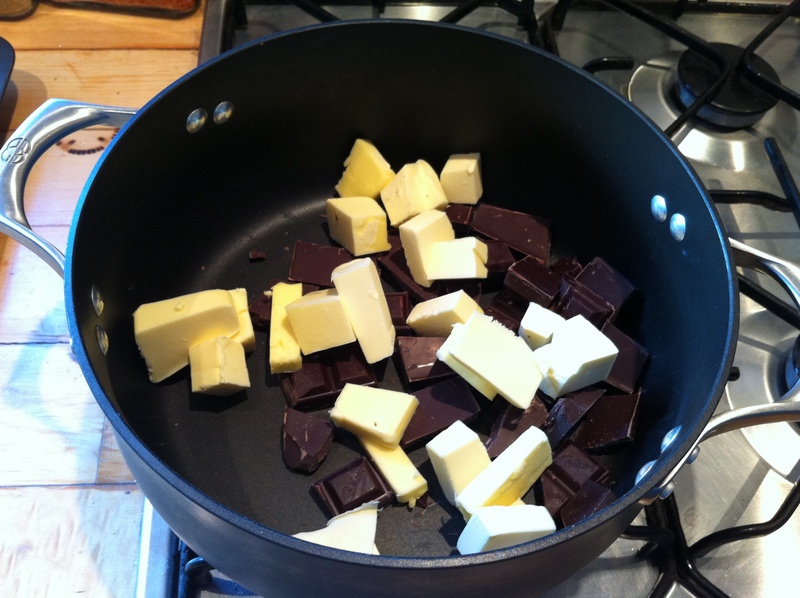 Tip the mixture into your prepared pan and pop in the oven for about 35 minutes. Your brownies are ready to come out when the top is set and doesn’t wobble when pushed with a gently finger. 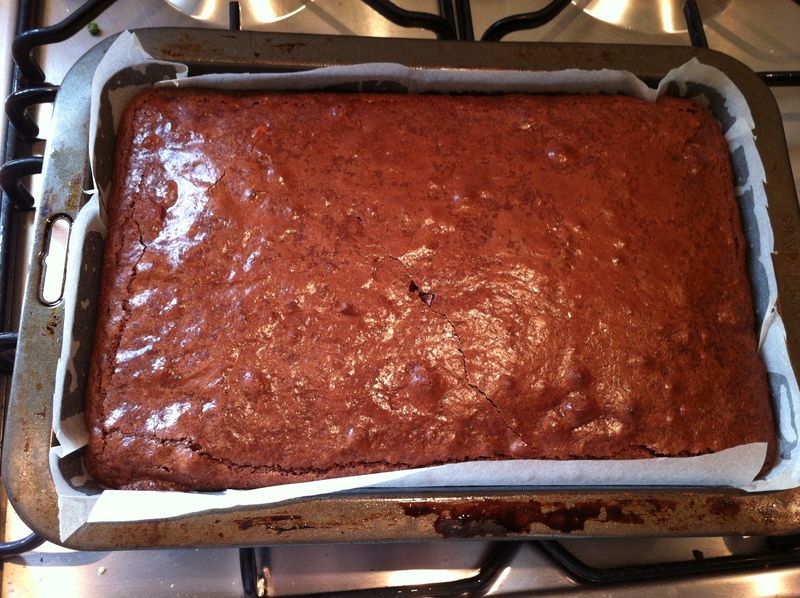 Leave to cool for at least an hour so brownies’ centre sets but stays gooey – but make sure you get at least one while they’re still warm! © 2019 The Cake Doctor. All Rights Reserved.